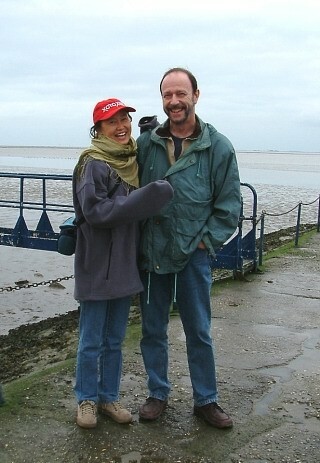 We liked to travel and learned to know our country better, and the surrounding European countries as well. We had been in German cities like Hamburg, München (Munich), Köln (Cologne), and European cities - Paris (France), Alicante + Valencia (Spain), and we wanted continue to see more. 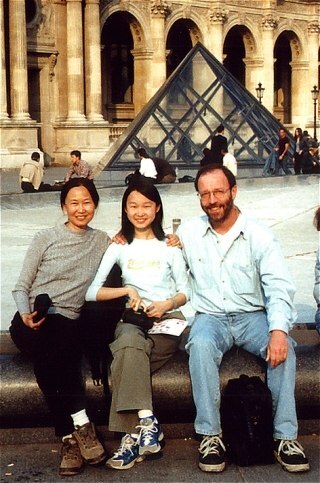 Right: Visit in Paris (2002). 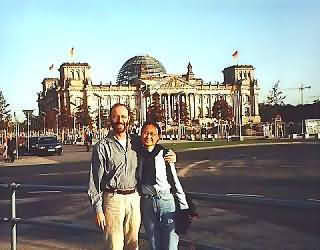 Tan had additionally visited Vienna (Wien), Austria (private), and Amsterdam, Holland (with her highschool class). Below: We went by train for a week to the German capital, the city of Berlin, and of course visited the Parliament-Building ("Reichstag") and other famous places. 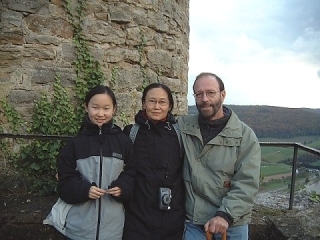 During an autumn-journey to one of the numerous castles close to Heidelberg. We kept on to visit spots which were interesting for us in Germany. Tan, however, had completely moved to Bonn by the end of 2010.